Disney Princess - The Disney Princesses. . HD Wallpaper and background images in the Disney Princess club tagged: disney princess disney princesses the little mermaid princess ariel cinderella princess jasmine mulan. Um... where's Tiana? It can't be the way the picture is cropped because there's 2 free spaces, THEY FORGOT TIANA!!! 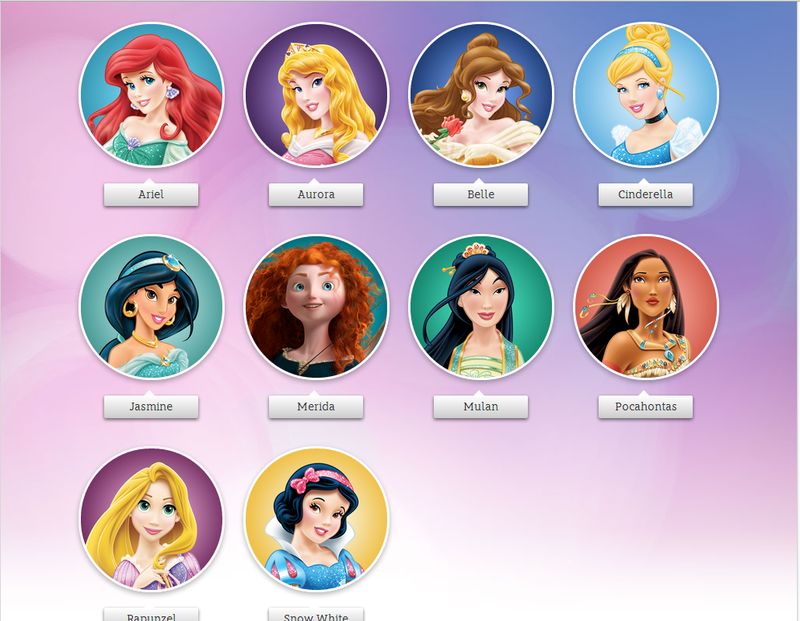 I personally hope they change Merida to her 2D version on the site. 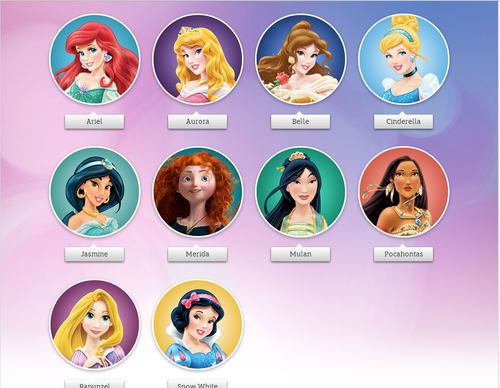 She stands out too much next to the others and if Rapunzel doesn't get to be on her 3D version, neither should Merida. And yes, what Mongoose09 said, where's Tiana?! Y'all have to remember she's also PIXAR. They probably wanted to keep her original. And due to the 2D controversy, they put her 3D image up instead of her 2D one. Merida sticks out all the time. Ugly girl. tuktok 10 Disney Princess Super Powers!! !